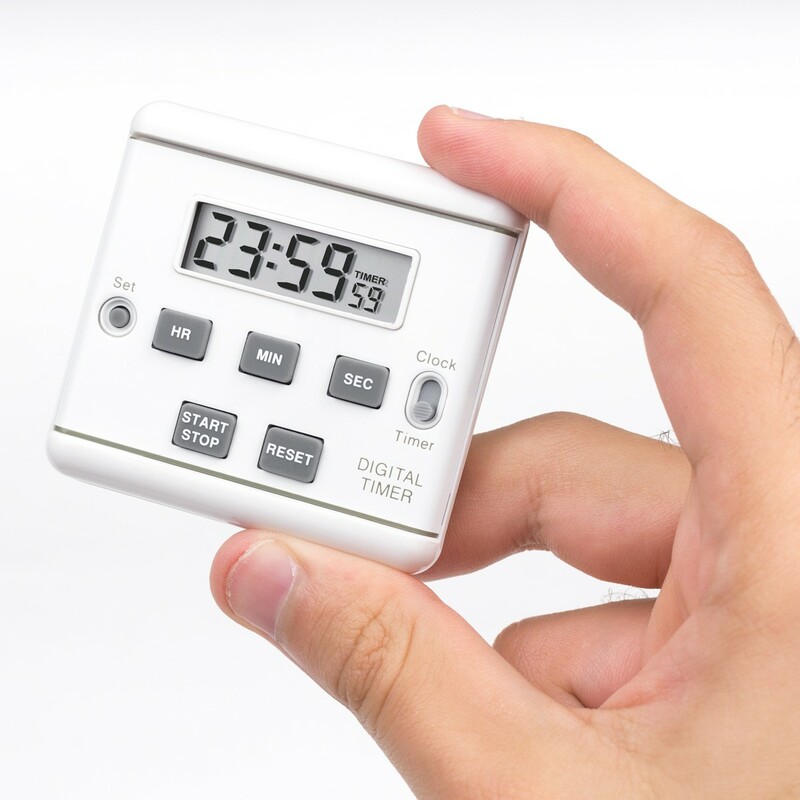 This compact unit is a timer, stopwatch, and clock. 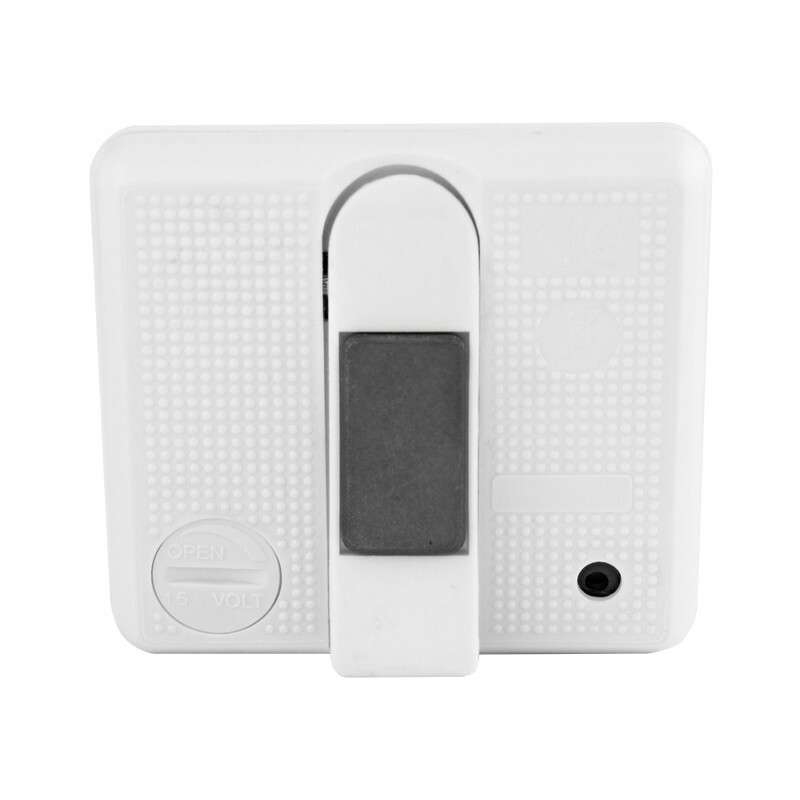 Timer can be programmed to count down from 23 hours, 59 minutes, 59 seconds with 1-second resolution. Accuracy is 0.01%. Memory recall automatically returns timer to last programmed setting. 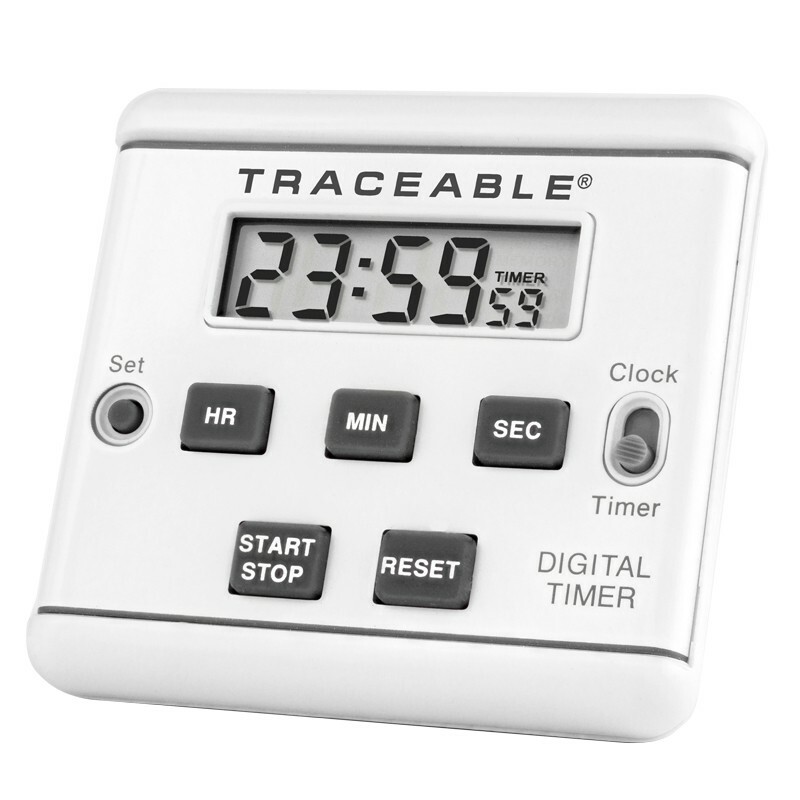 In the count-up/stopwatch mode, unit times to 23 hours, 59 minutes, and 59 seconds. Clock functions show hours, minutes, and seconds to ensure a correct reading. 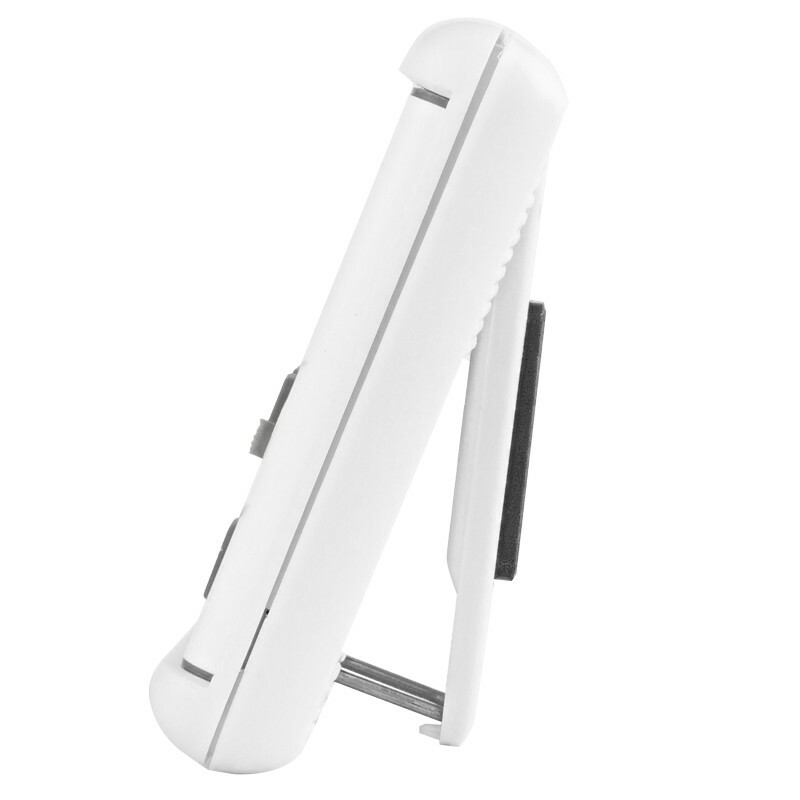 Magnet, flip-out stand, clip for total flexibility, battery, and Traceable® Certificate.